It's time to spice up your life! Mr. Jerk offers amazing Jamaican food at amazing prices. It's located in a plaza near Sheppard and Morningside. If this is what's on your mind for lunch, go early. The line up gets very long, very quickly at lunch time! My co-workers have been there many times and urged me to go there to pick up lunch. When you hear your co-workers moaning about how good their lunch is, it MUST be good. As I've mentioned in other posts, I'm not a spicy gal...well, I wasn't until today. I'm hooked. 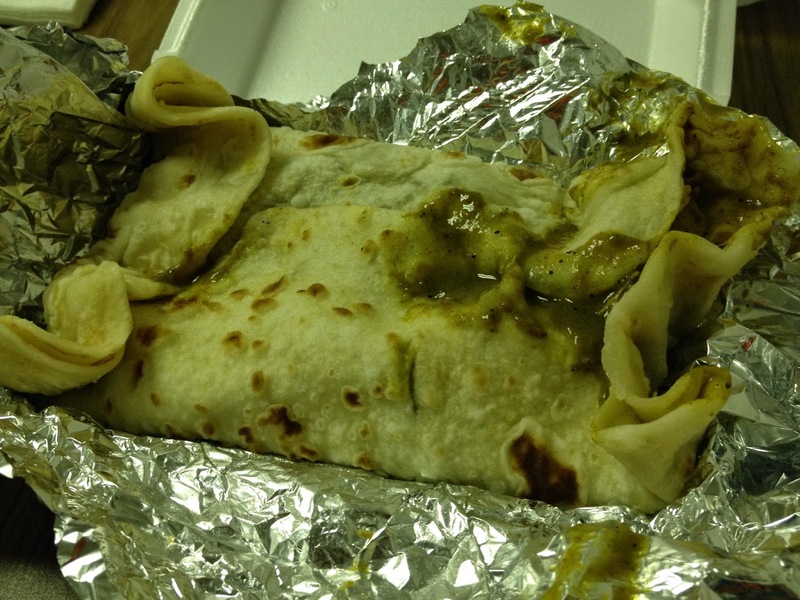 I went with the Chicken Roti and my co-worker picked up the Curry Goat. Just thinking of the smell of these dishes is making my mouth water. Did I mention the portions are HUGE? For a reasonable price, you can have lunch for a few days. Upon entering, you are immediately hungry. The smell of the slow cooked food has you instantly scouring the menu for your meal. The ladies there are fantastic. They are working hard to get you in and out as soon as possible. They are not new to the rush. The cooks in the back have fresh food ready to replace the empty trays and keep the people fed! The Chicken Roti was to die for. There were large pieces of slow cooked, perfectly seasoned chicken with curry potatoes wrapped in a warm roti. The spice was perfect; spicy and flavourful and not so hot that a wuss, like me, couldn't enjoy it. (Yes, I was sweating, but I was feeling no pain!) I ate as much as I could, maybe 1/3 of it and it still lasted for 2 more meals. My boyfriend was ecstatic when I brought the leftovers home to share. 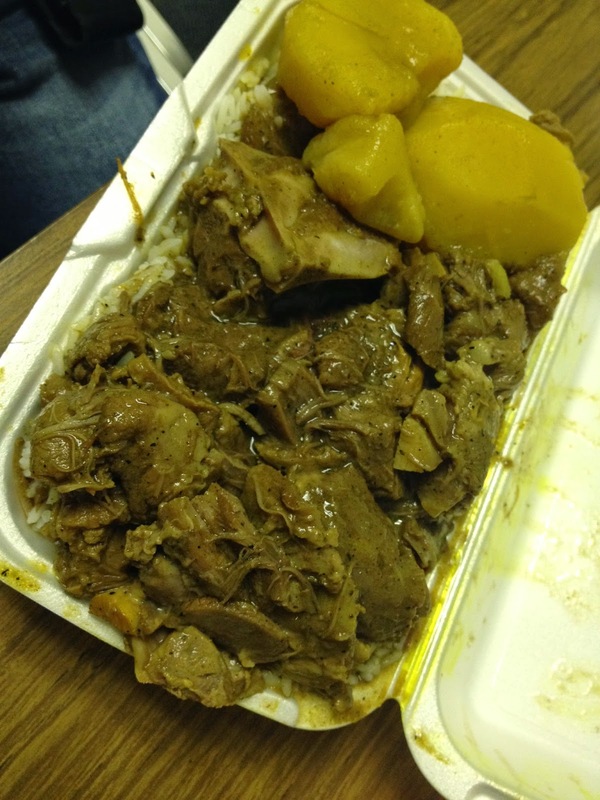 My co-worker's Curry Goat was tender and juicy; smothered in the same seasonings. Wow. It was piled high on a serious bed of rice with curry potatoes. We could barely close the containers. Mr. Jerk is perfect for lunch or supper. A hearty meal that will keep you satisfied.